Click to hear this essay in Dr. Bodle’s voice. Cornfields are hourglasses for kids on summer vacation in rural Indiana. Though the old saying insists the corn should be, “knee high by the fourth of July,” the fourth of June may provide a more accurate yardstick. When the green floods of corn crest around 7 feet in August it is time to head back to school. The night before the hornet battle I had noticed, while trying to survive the desolation of another Little League inning in right field, the corn behind the outfield fence was already knee-high. Summer had just begun and I was ready for August, ready to head back to the hustle and bustle, the energy of the school day. Geneva, like many small towns, is the kind of place where everyone is your neighbor but that doesn’t mean everyone is neighborly. My closest friends at the time were scattered across the countryside at hopeless distances for a fourth grader on his BMX. To make matters worse, new neighbors had arrived that spring, hornets. Their hulking grey nest was only visible because its weight made the arborvitae bush that housed it lean out of line with rest of the row that skirted our backyard. Despite constant harassment from the hornets and isolation from my friends, I was determined to regain the camaraderie I missed from my fourth grade classroom. In the past, our backyard had been the site of spirited wiffle ball games between my older brothers and their friends. Perhaps I could organize a similar event. But who would play? I knocked on doors I never thought I would in my life. Some doors sat at the apex of wobbly metal framed steps attached to the mobile homes across the highway, some to large brick homes down the street, and others led to the small quarters of migrants who lived in the camp on the edge of town. Before long a rag-tag group of kids was assembled in the backyard. Together we wove a weird tapestry of stereotypes and clichés, with the only threads holding us together the desperation and monotony of a rural Indiana summer. It seemed we were all in the same position; doing anything was better than staying home with nothing to do. A small Ginko tree served as first base, a cement sidewalk slab, slightly larger than those next to it was second base, and a towering black walnut tree served as third base. Home plate sat just a few feet out from the center bush in the line of arborvitaes not far from the precariously leaning hornet bush. A rather quiet and pedestrian game ensued for several innings. No one was sure who to turn to for celebrations or disagreements. All of that awkward uncertainty changed when an arrant pitch flew over the shoulder of Brad, the batter and a known bully, and made a direct hit on the buzzing grey bulb within the leaning bush. I’ll never forget watching the fear flood over Brad’s face as he watched the eyes of each fielder trained on the darkening, buzzing cloud forming just behind him. Brad dropped his bat and ran terrified toward the pitcher’s mound. Soon his arms stiffened and a high-pitched scream shot from his mouth. He grabbed at his hind end as he fell to the ground. Seeing him fall, we hastily armed ourselves with wiffle ball bats, rocks, sticks, anything that could swat a hornet out of the sky. Side by side we crept toward the nest, hornets swirling. It was us against the hornets and over the course of the next 10 minutes our barrage of hastily gathered artillery reduced the nest to scraps of grey paper clinging to the thin branches where a home used to be. Despite countless close calls only a few stings were reported. The hornets were gone, and in their place was a strange sense of togetherness amongst us in the silence. Brad thanked us for saving him from the onslaught, but there was something else that was unsaid. “I feel kinda bad for the hornets,” I risked. To my surprise, Brad nodded his head in agreement. “Me too,” said Carlos, Brad’s even-meaner little brother. We talked about how hard they must have worked to build the nest. We laughed about the unfortunate placement of Brad’s injury, and partially wished we could put the nest back together. A sense of kinship fell over the group for a good while. By and by, we gathered ourselves and went back to our game. I don’t remember the score from the afternoon, or even how the day ended. We went our separate ways and we didn’t meet up for another game that summer. The same old dividing lines still that kept us from solidifying lasting friendships existed long after the corn reached its peak and began to wither into crisp golden locks, waiting for the combines and gravity wagons to reveal the horizon line once again. Another school year came and went and before long Spring returned to Geneva. The corn, as if animated by some invisible underground crank, began again, its yearly ascent. That summer, a year removed from the hornet battle, Carlos and I played on rival little league teams. One afternoon after baseball practice we exchanged some choice words, the kinds of words sports rivals are used to exchanging. This time, however, a scuffle ensued. We ended up pushing and shoving each other inside the dugout, calling each other names, and things began to escalate into a fist-fight. Carlos grabbed me by the shirt and forced me against the hot, dusty dugout wall. He pulled his arm back, breathed a deep breath, and I closed my eyes preparing for his closed fist to land on my cheek. Nothing happened. The grip on my shirt loosened and we looked each other in the eyes. I thought of the hornet battle and realized the hands forcing me to the wall belonged to another person, someone capable of feeling empathy for hornets, capable of laughing with me, capable of being my friend. Maybe it was the same recognition that stopped him from punching me in the face that afternoon. I never asked him. Sometimes now, as I work with future teachers, I think about Brad, Carlos, and the rest of the group involved in the hornet battle. I invite my students to think about ways their classrooms are similar to my small but complicated Indiana town, how we’re all thrown together in the same place, how difficult that can feel, but how much we can learn from one another if we we’re willing to risk being vulnerable. Our classrooms, much like our communities, can be places for discovering our common humanity, or they can be places that reinforce social divisions. I tell the story of the hornet battle to encourage my students to rethink the same deficit models I attached to the kids from the parts of town I rarely visited before the hornet battle. I ask them to imagine their future classroom as a place where community can flourish through taking the risk of accepting each other as equals. It wasn’t easy for my fourth grade self to admit that I felt sorry for the hornets, that’s not what a “guy” was supposed to do in that place, at that time. It was probably harder for Brad and Carlos to take the risk of acknowledging my regret and validating my words. But, through those little ventures in vulnerability, Carlos and I unknowingly stopped each other from physical violence against one another. If only short-lived, we had cultivated a bit of humanity in the midst of the inhumanity of our middle school years. Lastly, by sharing the lessons of the hornet battle, I try to offer my students opportunities to think about the hourglasses built into their lives as teachers, those little reminders of their own fragile temporality, and just how little time we each have to make a difference in the lives of others, and for others to make a difference on ours. 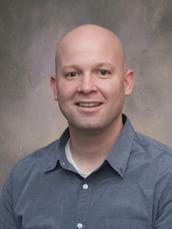 Aaron Bodle is an Assistant Professor at James Madison University where he teaches social studies methods and qualitative inquiry to beginning elementary educators. Using film, animation, and performance as methods of data generation and (re)presentation, his ethnographic and autoethnographic research explores changing conceptions of citizenship in relationship to place, students’ perceptions of their connections to global, national, and local contexts, and links between multicultural and global education in theory and practice.